Paper circuits are a super fun and non-threatening way to introduce circuits to students of all ages. I first heard about these fascinating paper circuits from a digital fabrication course I took in my Educational Technology master's program. I also learned about Jie Qi, a genius artist that creates beautiful interactive paintings with copper tape. Jie Qi is also the creator of circuit stickers and the interactive Circuit Sticker Sketchbook. So, not only is she a genius artist, she also inspires others to explore their creativity with art and technology. After learning all about these super cool paper circuits, I had to get them into classrooms! Luckily, 4th and 5th grade students learn about circuits in their "Energy Forms and Functions" unit, and I work with some pretty cool teachers that love trying new activities to engage their students! The past two years, I worked with 5th grade science teachers to integrate paper circuits into their curriculum, and we've found, paper circuits are a great way to teach/reinforce the properties of simple and parallel circuits! Students have so much fun making circuits from scratch. Outside the classroom, paper circuits have also proven to be a favorite activity in Makerspace gatherings! The cost for bulk paper circuit materials isn't the cheapest, however, I did a lot of searching and found the best deals on Amazon. One roll with 55 yards of tape is enough for about 45 students. Each student will need at least one battery. When I'm using these for class lessons, I order extra batteries for small group practice. I have students work in small groups to make a simple and parallel circuit. You can buy one pack of 300 LEDs for less than $13.00. One pack is usually good for 100 students. It depends on how many LEDs each student uses. Each student only needs one binder clip. The link above is for a pack of 144 clips! I just set out approximately one roll for every 4 to 5 students. Students only need a tiny bit of tape. Colored paper, scissors, markers, glue, etc. When I work with 5th grade classes, I have students work in groups to make a simple and parallel circuit using the materials above (minus the various art supplies), and paper circuit templates from Jie Qi's Circuit Sticker Sketch Book. Click Here for an updated Blended Learning Google Slide Assignment. After students make simple and parallel circuits in small groups, they design and create a circuit within a piece of art. If all or some of the LEDs don't light up, students use the debugging pages (87-89) in Jie Qi's Circuit Sticker Sketchbook to guide them through troubleshooting their circuit. This year I pre-made open and closed paper circuits to help students better understand how circuits work. They used this handout to record predictions and the actual outcome when they added a power source to each circuit. This activity encouraged students to add switches and challenging designs to their individual circuits. My goal is to recruit 4th grade teachers to try paper circuits with their students next year! :) Click here to download my 5E Model lesson plan I used with the 5th grade classes. You can tweak it to work for your students. Search any discount store retailer like, Target and you will find there are so many circuit kits for kids! I love how accesible electronics exploration is for kids now! 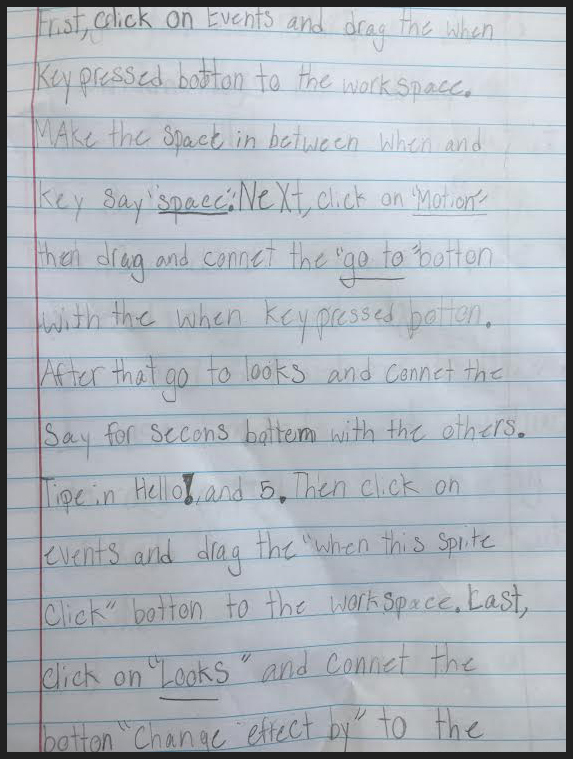 Did you know you can use computer programming with language arts lessons?? 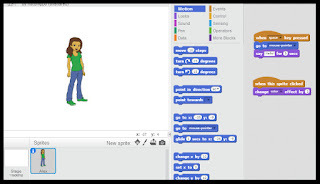 Students LOVE using code to create their own animations and interactive stories! 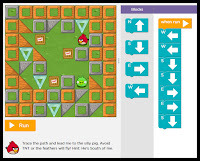 First, make sure your students have a basic understanding of what an algorithm is and what computer programming is. Here is a video of a teacher introducing algorithms and computer programming to her class with an “unplugged” lesson (without a computer). Click here for more "unplugged" lessons to introduce computer science fundamentals. I usually start by asking students to raise their hand if they've played a video game before... and go from there. My favorite website to introduce students to coding is Code.org. It has fantastic self-directed courses for ages 4-18, and it's FREE!!!! 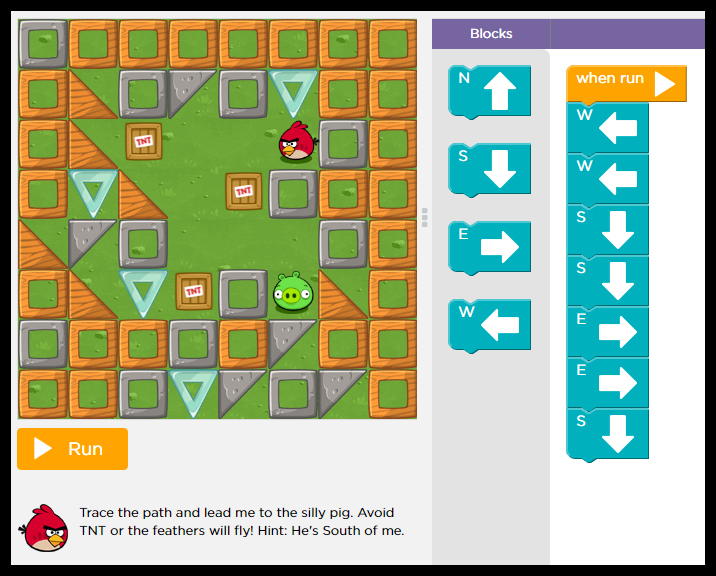 Students love learning how to code with Angry Birds, Minecraft, Frozen, and Star Wars! I have pre-k through first grade students start with course 1. It's perfect for early readers. I have most 2nd and 3rd graders start with course 2. I let upper elementary students choose between course 2, Star Wars, Mine Craft, or Frozen. It doesn't take long before students are hooked! 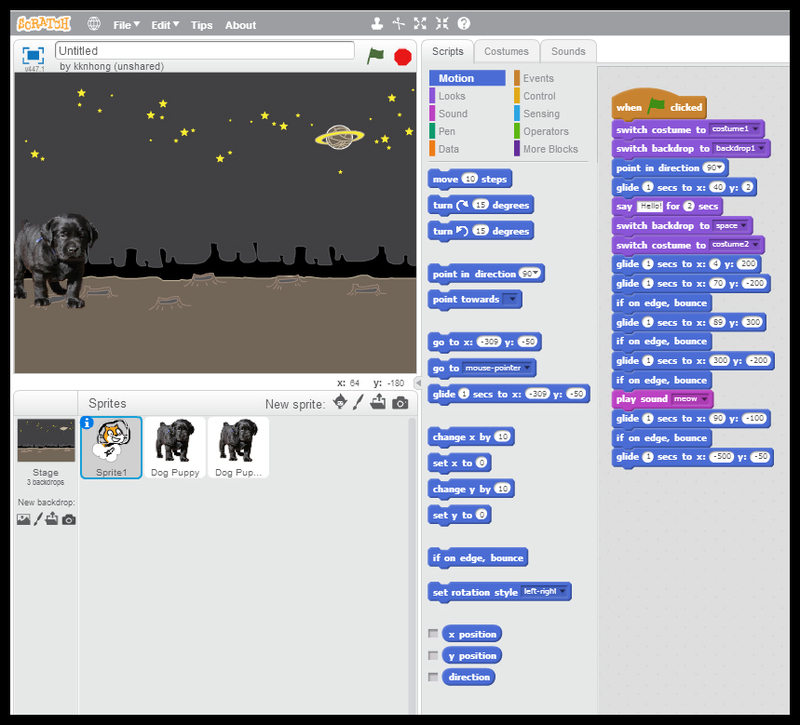 After students feel comfortable with building code on Code.org, I introduce them to Scratch. 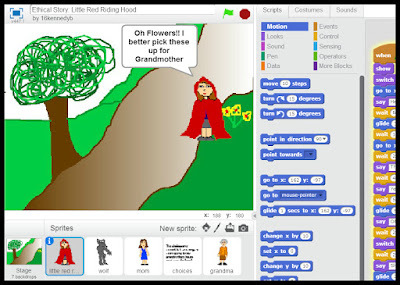 Scratch is a free web application that allows you to program interactive stories, games, and animations. It was created by the Lifelong Kindergarten Group at the MIT Media Lab. 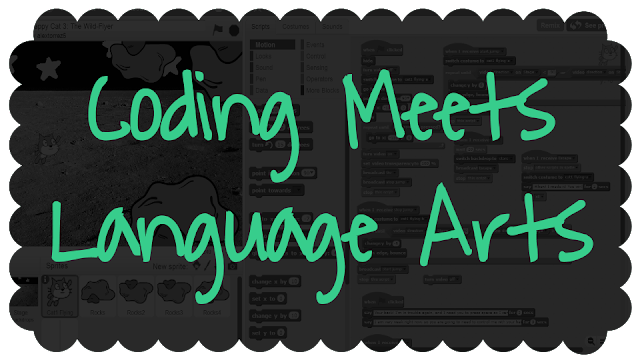 I use Scratch with 2nd - 5th graders. 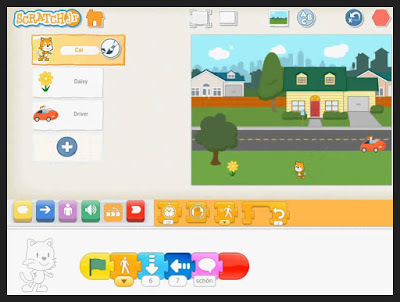 There is an iPad and Android tablet app, ScratchJr, for younger students. Click here for a Scratch video tutorial. How does this work with language arts? 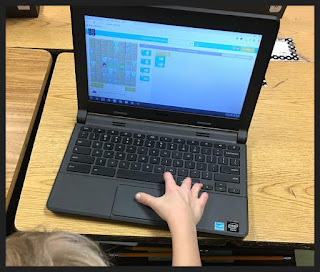 Students can teach others a new Scratch code they've created. 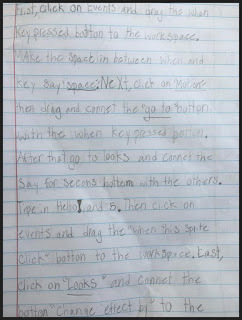 Here is a free 5E Model lesson plan I used with 2nd grade students. You can tweak it to work for your class. Students can create their own fantasy story or create a sequel or a different version of an original fantasy. 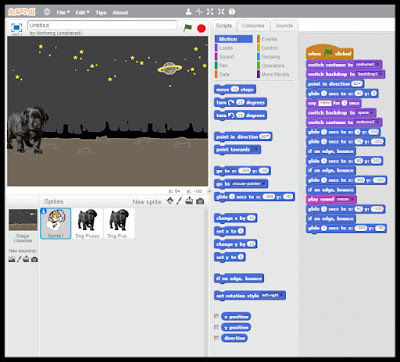 You can choose to have students create their interactive story using Scratch first, or have them write the composition first. This would be a great ELA center! Here's a video I found on YouTube of a girl sharing a story she created with ScratchJr. Create different outcomes or variables for a choose your own adventure story! Learn more about variables here. Screenshot of a choose your own adventure story created by Scratch User veila123. Create personal narratives, original stories, or story scripts for a play. 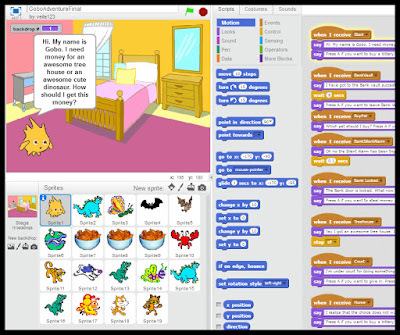 Screenshot of a project created by Scratch User cs160731. 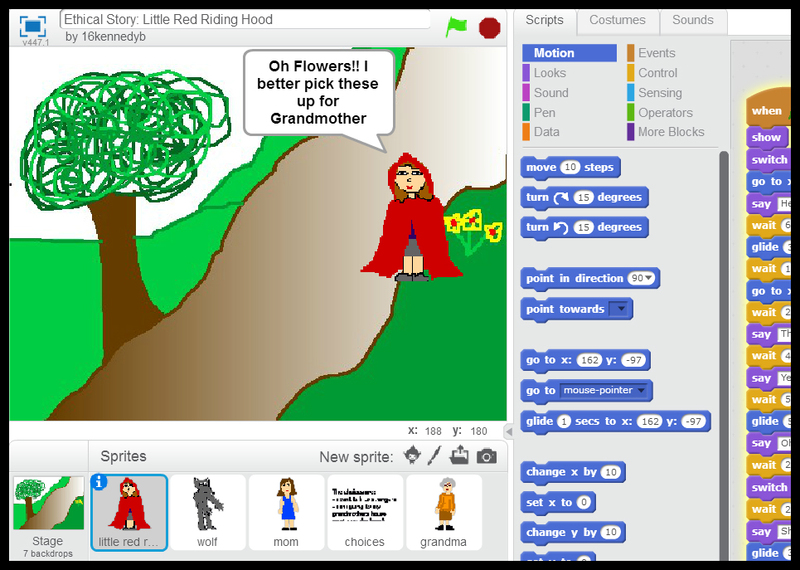 Students can retell and animate stories or parts of stories they've read. 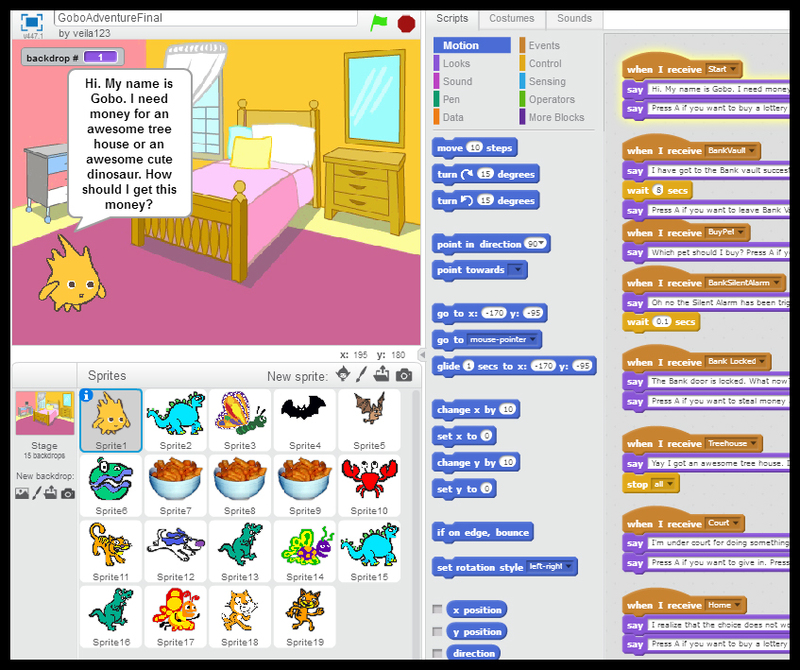 Screenshot of a project created by Scratch User cordlessea440. 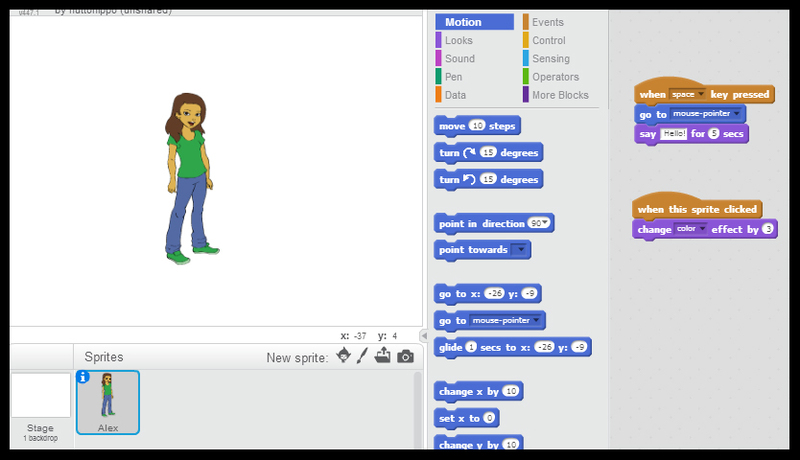 Create an animation of a character in a story you've read about. Include physical traits by drawing your own character, and include personality traits with animation, speech bubbles, and/or sounds. 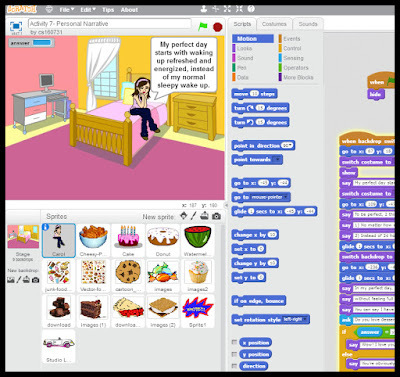 Screenshot of a project created by Scratch User 16kennedyb. Of course, It's up to you and your students' needs on the best way to implement these activities into your classroom. 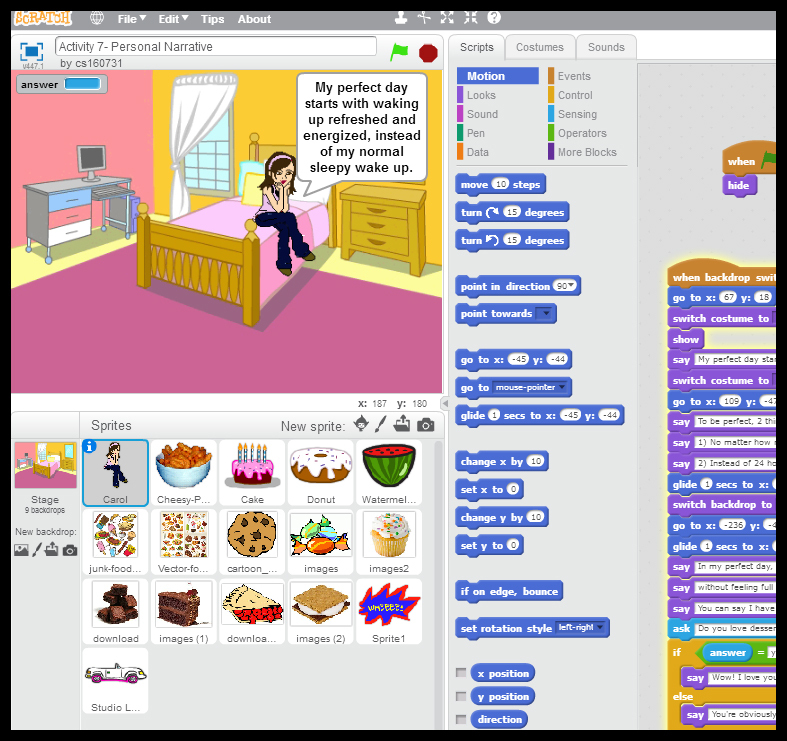 For writing, some students may like creating their interactive stories on Scratch first, and then writing the composition piece after. It works really well for some students that need that extra motivation to get started. You may also want your students to write the compositions first and then create their interactive story later in an independent or group ELA center. 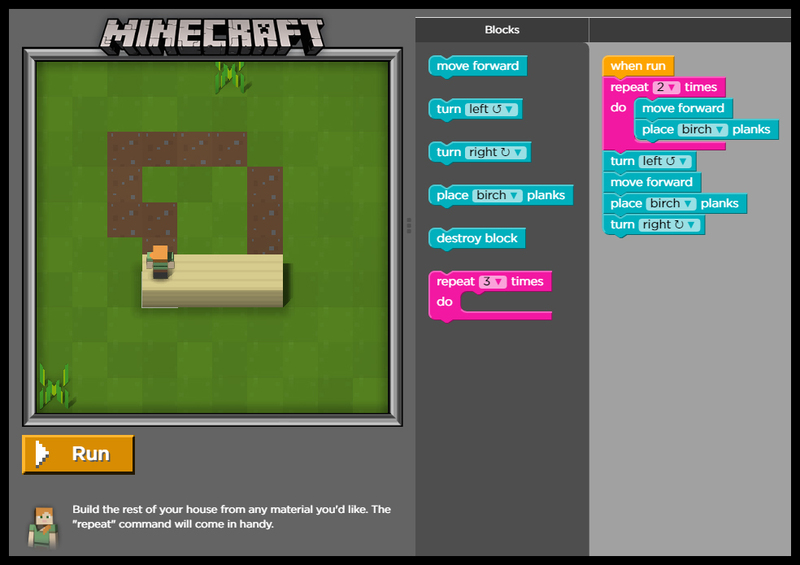 Either way, it's fun for your students to explore computer programming and see their stories come to life! I am presenting on this topic at TCEA Tots for Technology, and at a summer training in my district. I embedded the slide presentation below. It has a few alternative options for student courses on coding and a couple really good articles about language arts and computer programming. Since August 2015, I have had the best job as an instructional technology specialist! Before that, I taught 2nd grade, kindergarten, and pre-school.